With 21 hotel suites in Washington DC, ranging from 500 to 1,000 square feet, each has maintained its original history with decorative ceilings and ornamental fireplaces. With a choice of several spectacular, scenic views, each suite can be connected to a second bedroom if desired. 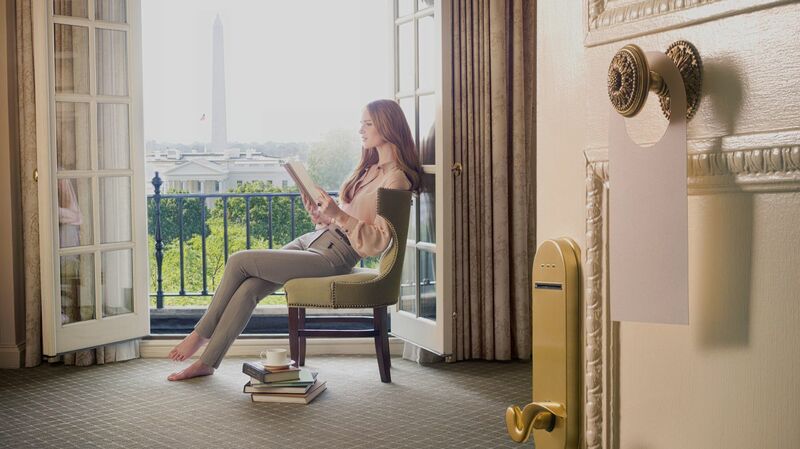 Spacious, inviting, and endlessly elegant, the Federal Suite boasts panoramic views of the White House, private balcony, and a luxuriously outfitted living room. The pinnacle of luxury, the Presidential Suite offers a penthouse residence with spacious living areas, a gas-lit fireplace, and impressive views of the White House. Outfitted with the warmth of a luxury residence, the Lafayette Park View Suites offer spacious living and dining areas, with sweeping views of Lafayette Park. Sun-lit and spacious, the St. John's Church View Suites are perfectly outfitted for luxurious living with fully-furnished and refined living areas and spa-like bathrooms. Sitting on the top floor of The Hay-Adams and offering unobstructed views of the White House, these luxury suites are elegantly outfitted for refined living. Bright and airy, these luxury suites boast floor-to-ceiling windows with scenic views of Lafayette Park.